Fashion that transcends all space and time! 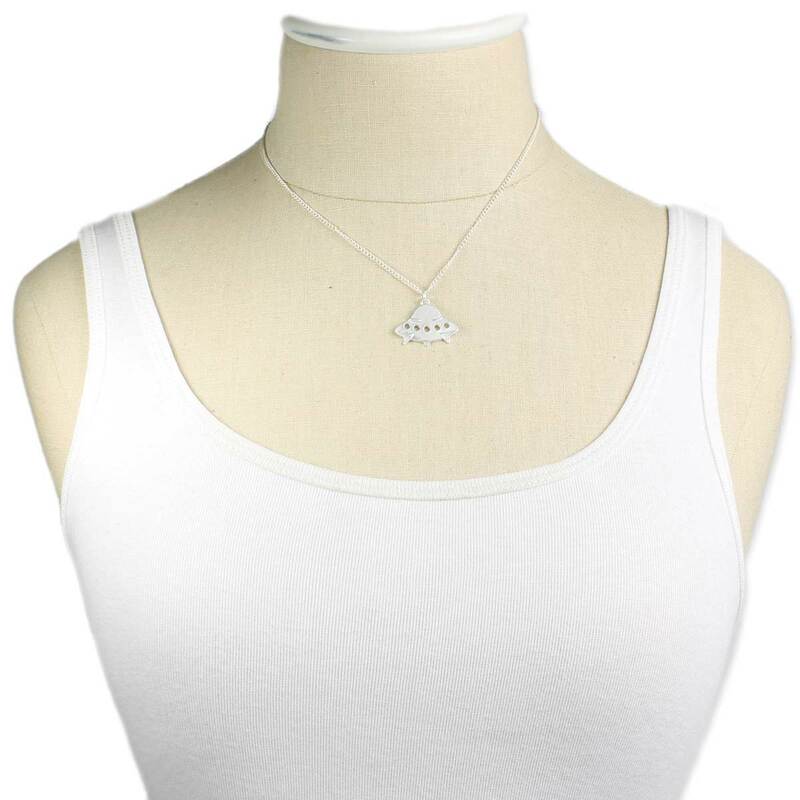 This quirky and fun UFO pendant necklace is the ideal necklace for true believers. 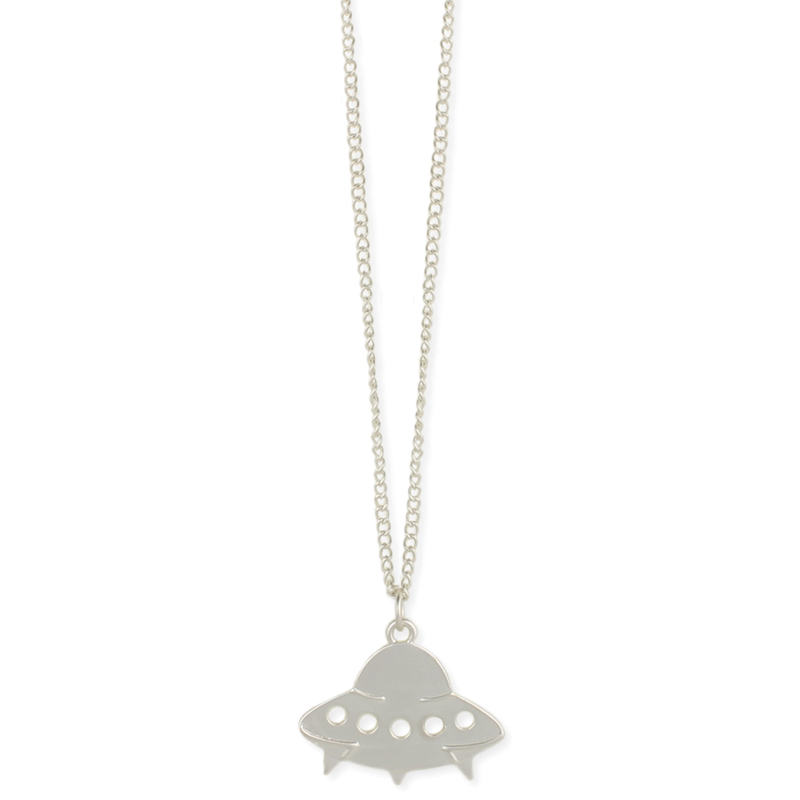 In matte silver finish, the retro spaceship design will have you begging for a close encounter.